Traumatized, IS Children Mourn as World Celebrates Their Loss. "The children feel lonely because their father is gone," says Hassiba, who is raising her seven children alone in a desert camp outside of Mosul. "Other children beat them, saying, 'Your father was a terrorist.'" Her husband was an accused Islamic State fighter. He is either in jail or dead, but she doesn't know which. Abdul Kareem, her 12-year-old son, now provides the family's only income by transporting random items in his cart. On his best days, he makes about $2. Abdul Kareem is among tens of thousands of Iraqi children whose fathers were accused militants, arrested or killed in Islamic State's losing battle. And while these children mourn, the rest of the world celebrates their loss. "I tell them to be patient and leave it to God," Hassiba says. "I tell my children the other kids are lying about their father and not to fight." Still, she says, she fears the children will grow up angry without community acceptance and education. "I would even educate my daughters if there was a school," she says. "I want my children to be educated to prevent any desire for revenge." Hassiba says she does not know if her husband fought for IS, but she does know her children saw him only as a loving father. "We worked together selling things from our cart," says Mubarak, 13, Hassiba's oldest child, who has battled an unknown mental illness since long before the days of IS. "Life was fun." 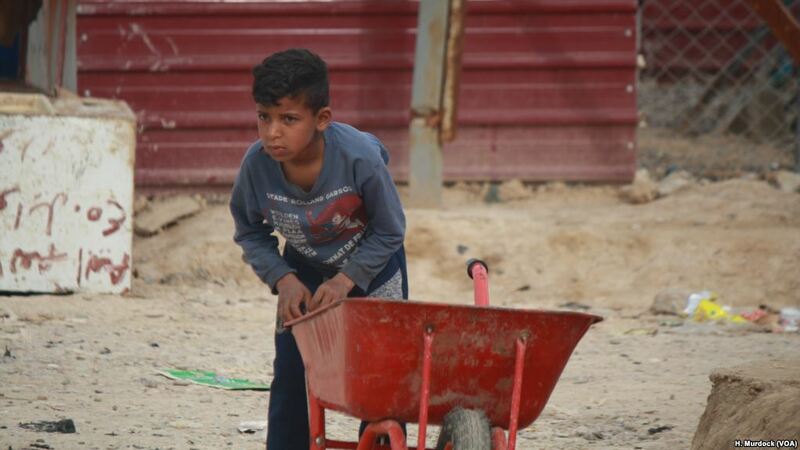 Hundreds of thousands of other children are also traumatized by war and extremism in Iraq, and authorities and aid organizations are struggling to rebuild schools and develop mental health programs for all of them. But special programs to treat children of IS fighters are almost non-existent. In the camps, the constant scramble to provide enough food, protection and emergency health care for families still fleeing their homes are the most urgent issues, according to aid workers.